At Riverkeeper’s Annual Fisherman’s Ball in New York City last night, Governor Arnold Schwarzenegger of California accepted the organization’s 2010 Environmental Advocacy Award. Award Acceptance was staged as a parody of Inside The Actor’s Studio, with host James Lipton offering a relatively relaxed Q&A format with the Governor that event hosts dubbed Inside The Hudson River. The Austrian native earned loud chuckles from the gathered guests when he regaled of taking classes at both Santa Monica College and UCLA Extension for accent reduction. He said he hadn’t wanted to be perceived as intimidating because of his accent. He also acknowledged his belief in the importance of maintaining a healthy sense of humor whether holding down a career in show business or in public office. He said one of his fondest movie roles was the making of Kindergarten Cop. 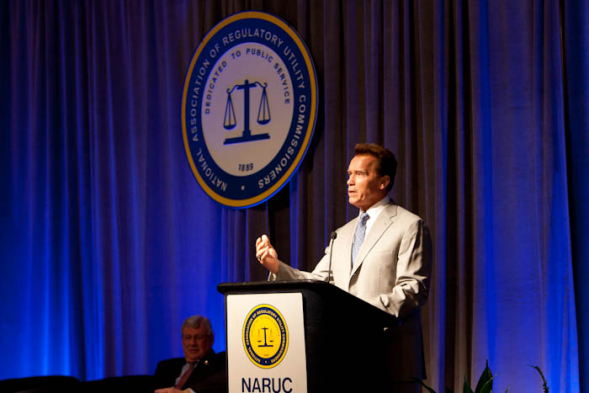 Governor Arnold Schwarzenegger honored at Riverkeeper’s Annual Fisherman’s Ball, NYC 4-14-2010. Awarding him the Environmental Advocacy honor was Robert F. Kennedy Jr. who is founder and sr. legal counsel for Riverkeeper. We here at GBN really don’t think nepotism had anything to do with the Governor’s being honored as Fisherman of The Year by his cousin-in-law but rather that it’s due to his tireless efforts towards furthering environmental initiatives in state, national and global arenas. The Carbon Reduction Surcharge was approved by the Board of Water and Power Commissioners on March 18, 2010 as part of the Department of Water and Power’s Energy Cost Adjustment Factor (ECAF). It serves as both a financial incentive and an investment tool that will incentivize stakeholders to use alternative energy, and therefore reduce Los Angeles’ dependence on fossil fuels. However, it will not drastically affect the average rate-payer; with expected average monthly bill increases to be between $2.50 and $3.50. The funds from the Surcharge will be deposited into a Renewable Energy and Efficiency Trust Fund that will be used to invest in energy efficiency and renewable energy programs. It is expected to generate 18,000 jobs over the next ten years and help lay the foundation for a local green economy. For more information its groundbreaking clean water initiatives and accomplishments for Riverkeeper, Here’s Some Basics. Filed under Carbon Reduction Surcharge, Governor Schwarzenegger, Greening Hollywood, Inside The Hudson River, Paige Donner, Riverkeeper, Robert F. Kennedy Jr. When Gov. Arnold Schwarzenegger addressed the leaders attending the Global Climate Conference in Copenhagen earlier this week, he noted Copenhagen’s Little Mermaid, its famous statue in the city center that is drawn from a Hans Christian Andersen fairytale. He also noted that his favorite fairytale as a child was “The Ugly Duckling” because of its theme of transformation. In these final hours of the historical summit, much focus is being placed on a global agreement being signed by all the world’s leaders, the developing nations and the developed nations; And in particular whether China and the U.S. can come to an agreement about emissions reduction inspections and national sovereignty. Much focus is also being placed on which leaders B.O. is including in his pack and which ones he is snubbing. 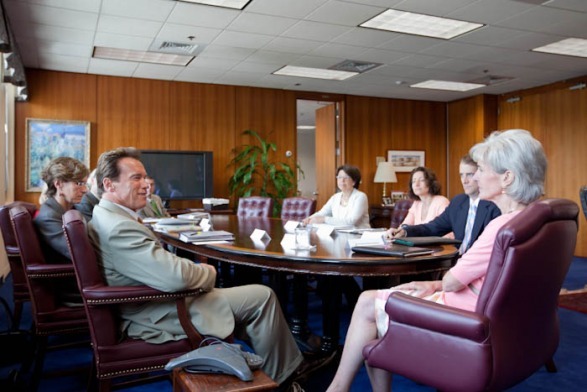 Schwarzenegger’s emphasis continues to focus our attention on the integral role that subnational governments and leaders – and individuals and entrepreneurs – play in this transformation of our environmental practices and some of the industries upon which we base our global economy. “…the world’s governments alone cannot make progress, the kind of progress that is needed on global climate change. They alone cannot do it. They need everyone coming together, everyone working together. They need the cities, they need the states, they need the provinces and the regions. They need the corporations, the activists, the scientists and the universities. They need the individuals whose vision and determination create movements. They need everybody out there. So ladies and gentlemen, let us regain our momentum, let us regain our purpose, let us regain our hope by liberating the transformative power beneath the national level. That can be the great contribution of Copenhagen — that could be the great contribution of Copenhagen. Some examples he gave of industry and entrepreneurs leading the way: A German company in Texas building and operating the world’s largest wind farm; a renewable energy company in China stating that they feel that renewables are “good business, not a burden.” Solazyme, the firm that derives its renewable energy from algae and its recent U.S. Department of Defense contract is more evidence of successful private-public partnerships. He also spoke about his late Mother-in-law’s pioneering efforts to create the Special Olympics. This was an effort of individuals and people. This was not an effort set forth by governments. He pointed out that it is people, friends and family, who are there at the finishing line to give the athletes participating in the Special Olympics a big hug, not governments. The Special Olympics is now in 180-plus countries. 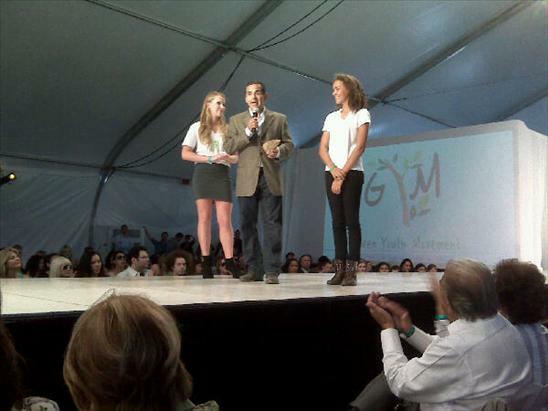 Without the dedication of individuals, activists, entrepreneurs, there would be no environmental movement. “Movements began with the people, not with governments,” concluded Schwarzenegger.